In Propertybase version 1.474 we've added Drip Campaign functionality to all Contact record pages. This article will walk through the process of configuring Drip Campaigns to work in Propertybase accounts upgrading to 1.474 or later. 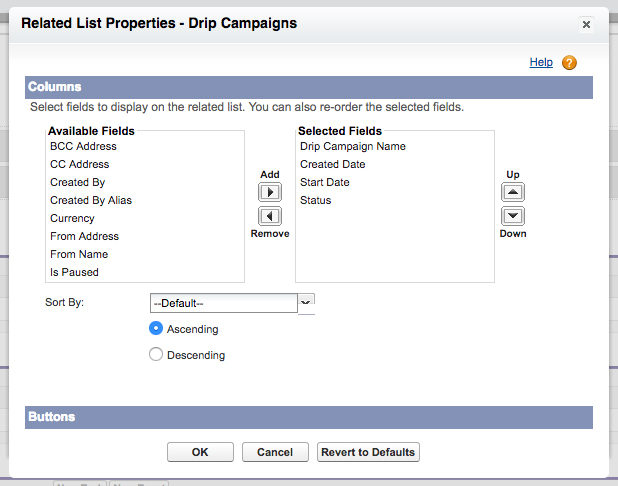 Already configured Drip Campaigns? Learn how to send your first Drip Campaign. How do I know if I've configured Drip Campaigns? Click the app launcher and select Drip Campaigns in the list of applications. If you see the "Email Automation Is Inactive" message, you do not have drip campaigns configured. Before completing the steps below, you must update to version 1.474 or later. Note: If you haven't registered a public API site, click here to do that now. If you have previously registered a public API site, please verify it's configured correctly by reviewing these steps. 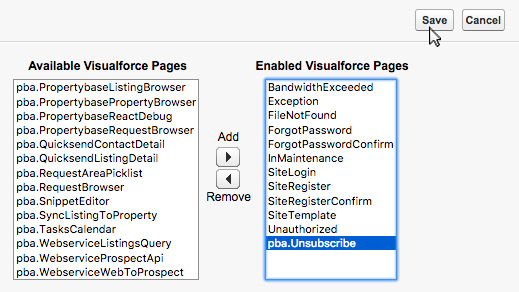 Next, we need to configure the public API site to support unsubscribe. Scroll to the bottom of the page and click the name of your public API site. Note: Your public API site could also be called "Webservices" or something else entirely. 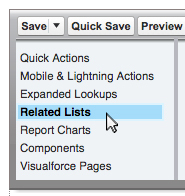 Next scroll down the page and click Edit next to Site Visualforce Pages. Done! You have successfully configured your public API site to support unsubscribe. To continue configuring Drip Campaigns, click the "Restart Email Scheduler" tab at the top of this page. Next we need to restart the Email Scheduler. Done! You have successfully restarted the Email Scheduler. 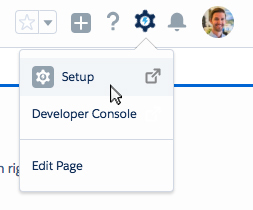 To finish configuring Drip Campaigns, click the "Layout Configuration" tab at the top of this page. Once you have completed the first two steps, we need to add necessary buttons to the contact record page. Do I need to complete this step? If you see the Automated Email Opt Out checkbox on the contact details page, you can skip this step. If you see the Start Drip Campaign button in the actions menu, you can skip this step. If you see both of the components above, you can skip this entire last step. Congrats! You have successfully configured Drip Campaigns. Learn how to send your first Drip Campaign. Click Object Manager at the top of the screen. Scroll down the list of Objects and click Contact. On the left side of the screen, click Page Layouts. Select Individual Contact from the list of layouts. At the top of the page, click Fields in the grey box. Drag 'Automated Email Opt Out' from the grey box at the top of the screen to the position shown below. 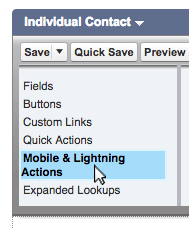 At the top of the page, click Mobile & Lightning Actions in the grey box. Drag Start Drip Campaign from the grey box at the top of the screen to the position shown below. Next click Related Lists at the top of the page. Drag Drip Campaigns from the grey box at the top of the screen to the position shown below. Next click the Properties icon next to Drip Campaigns. 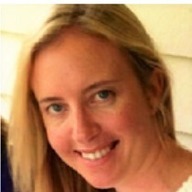 Configure properties for Drip Campaigns based on the image below. Repeat the same process for the Company Contact layout. Congrats! You have successfully configured your account to support Drip Campaigns. Click here to learn more about using Drip Campaigns in Propertybase.